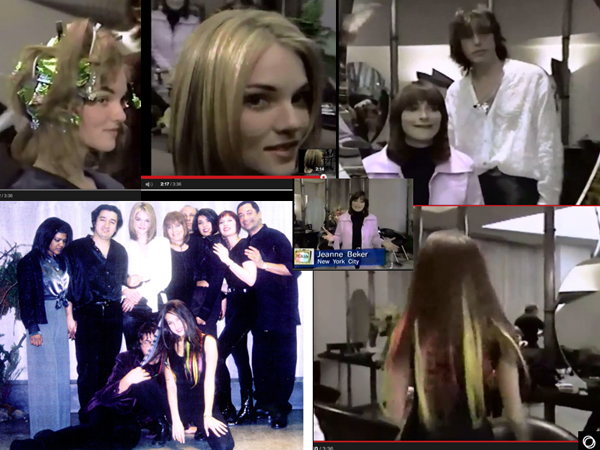 Home » Posts Tagged "Jeanne Beker"
Here is Jeanne Beker interviewing John Sahag at his creative and charming best for Fashion TV’s Real Life in 1997. You can catch glimpses of Dario Arias, Albert Narcisse, Jennifer Chune, three of Sahag’s colorists in action, and the colorific color extensions at the end were by Santino Acquista, the fourth Sahag colorist, the person who did the color on top left, who created fast add-on/take-off color extensions. First. For those into hair history, he used a tiny comb.